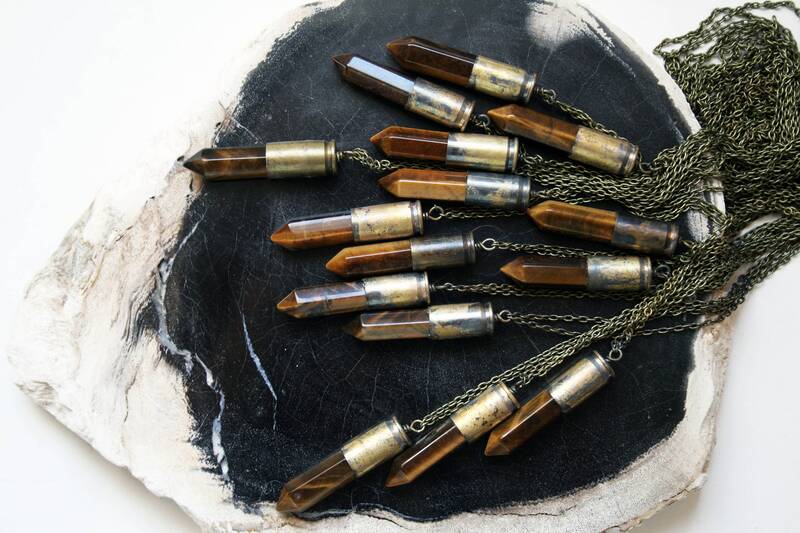 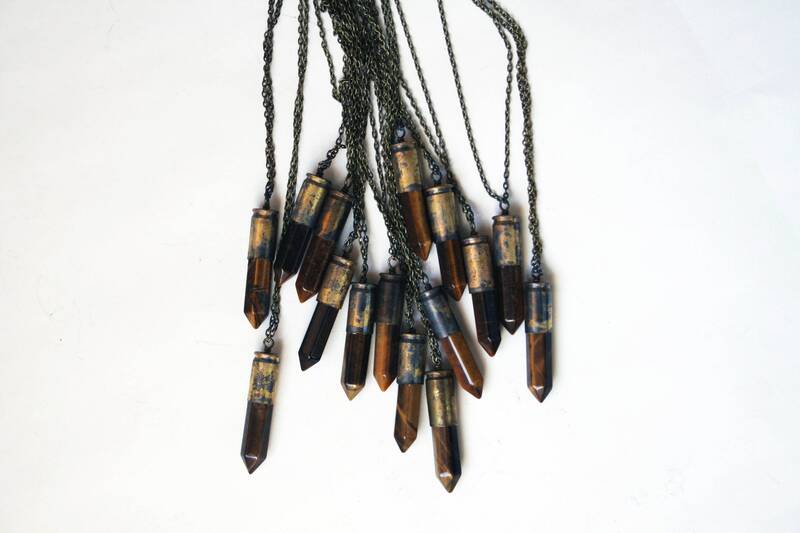 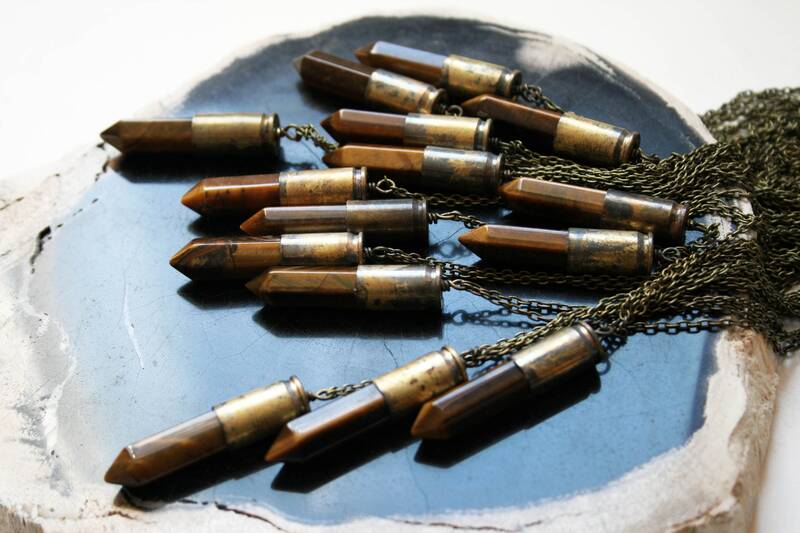 One necklace featuring a terminated polished tigers eye gemstone crystal point, in an antiqued brass recycled bullet shell. 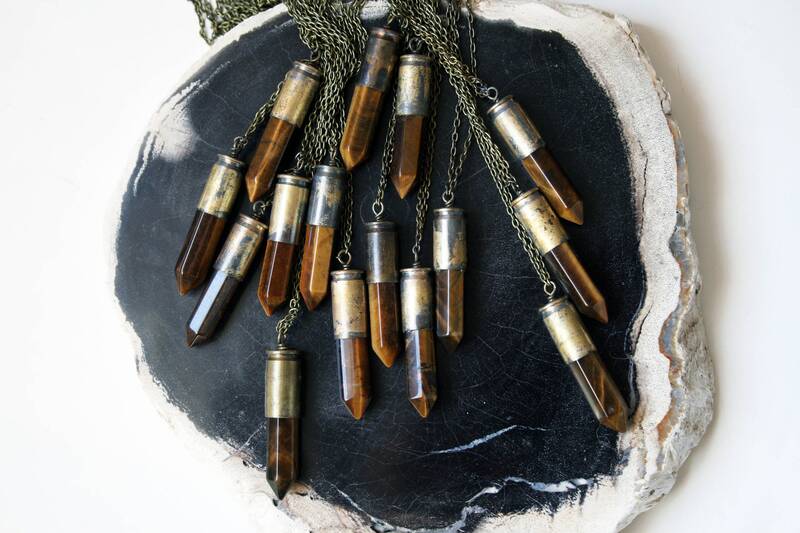 Each pendant hangs from a 30" brass chain. 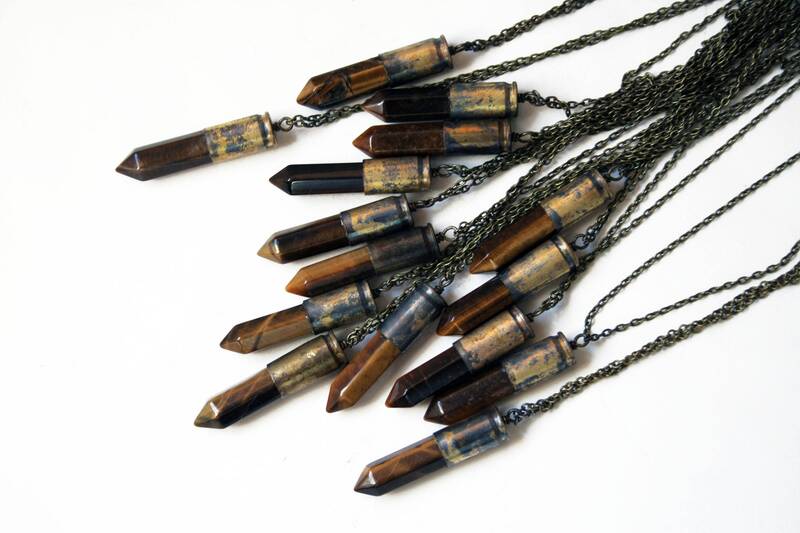 Clasp-free, removable overhead, long unisex style. 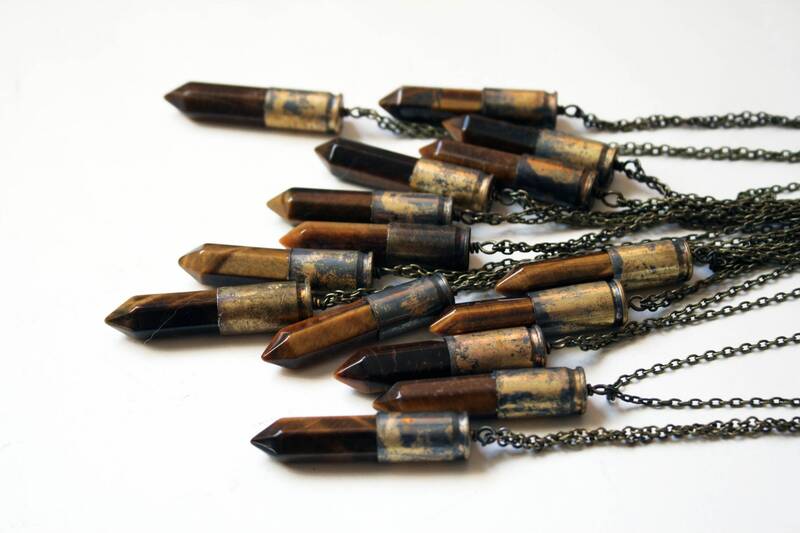 You will receive one of the items pictured or similar from the same batch, selected at random. 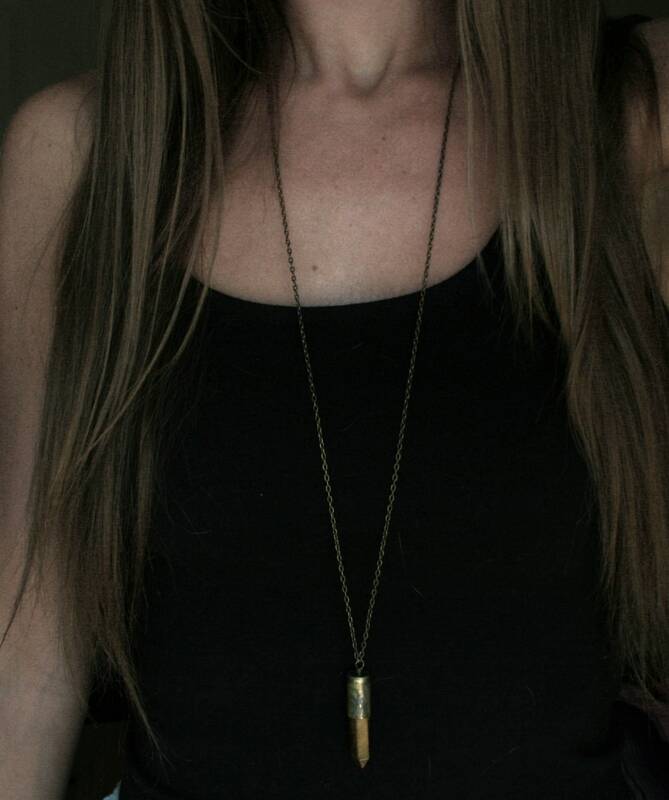 Wonderful weight and quality. 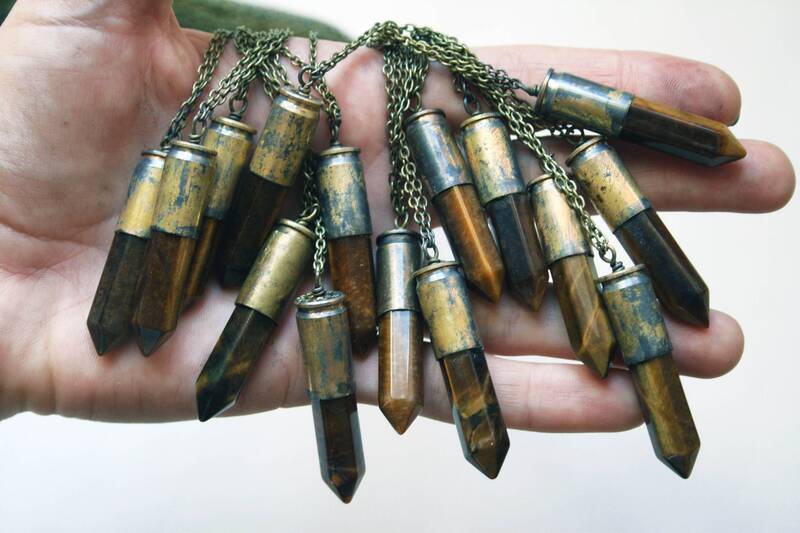 Will buy in additional stones.